The Apple, the brand which needs not any introduction at all, is the leading technology brand. The Apple has always been shocking the world with its unique gadget launches. The Apple bring up a new evolution in the field of mobile technology by launching the Apple iPhone. With this great smart phone launch it creates the problems for many mobile manufacturers and swept out a large customer area. The Apple has recently launched the new iPad, and again has come up with something great. Now the rumored information is that Apple is going to launch iTV. This is very good news for the TV lovers, because like other Apple products, something unique and great is expected and sure in this gadget as well. This news is not so good for the TV manufacturing companies. All the companies know that whenever it will launch, it will come up with the shocking features and will surely attract their customers. But what this Apple iTv will include? What will be the features? and will make a place for it in our living rooms?? In this post I am going to write some rumored specifications of this upcoming Apple iTV, which will attract the users and will please them to buy one for them. The Google TV has got many features, but the only feature which is letting it down is the lack of providing on demand videos. The TV enables you to record the videos, which is also a very good feature, but we need to start the recording mode. But as well all know, in this busy life, remembering the things is a tough task and what if we forget to record our favorite show?? Who will be responsible for that fun moments, that we could have enjoyed if the technology was there. Well, looking on it, it is rumored information that Apple TV set up box will not only allow the users to record the videos, but also to get the on demand videos access. You can enjoy the on demand videos and also the shows whenever you want. So with Apple iTV you need not to worry about the recording of your favorite shows. The Apple iTV can provide you the videos of your favorite shows, when ever you want. 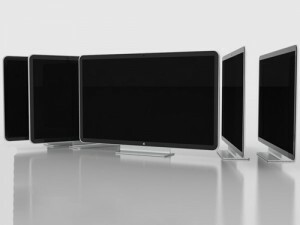 The another rumored information about the iTV is that it will be having the gesture control. The gesture control is there in many products from the well known brands, like the smart TV from Samsung, Microsoft and Haier as well. But remember this is Apple, which is known for extra ordinary features, so you can expect something new and different in the Apple iTV as far as the Gesture Control Feature is concerned. The Apple had already entered the next generation voice recognition area with the Siri update on the Apple iPhone 4S. So the chances are there that better voice recognition system will be there, It is also possible that the Apple iTV comes with the advanced voice recognition, in which we only need to speak the name of a TV show and within the matter of few seconds, it will start showing that particular TV show. The Apple has been failed in this field so far and probably will like to break the trend by providing a better integration services in the Apple iTV. Possibly able to play the game or watch the movie on this TV, from the same point, from where we left it on the iPhone. So better relations of this TV with the iPhone is the next rumored information. It will allow you to see the Map of the globe and to organize the trip for you. You will also able to book the tickets for you as well. So tagging it only as a TV, is injustice with it. Well, it is only rumored information, nothing can be said properly at this point. We all are eager to see the official launch of this TV from the Apple. Are you also waiting eagerly for the launch?? Drop your comments and spread the World about it. If you like the post, then please spread the world and consider sharing it on the social networking sites like Facebook, Twitter etc.